From October 25th to October 31st I was in Austin, Texas for Blackbaud’s annual conference for the philanthropic community. After a few flights delays due to hurricane Patricia, I landed in Austin to hear great live music, eat authentic Tex-Mex food (it’s amazing) and most importantly to learn from thought-leaders of the philanthropic marketing community. Blackbaud is a supplier of software and services specifically designed for non-profit organizations. Its products focus on fundraising, website management, CRM, analytics, financial management, ticketing, and education administration. Their conference, BBCON, “powers the passion” of attendees by teaching the secrets of storytelling, showcasing successful non-profit campaigns, best practices from industry experts and exposure to jaw-dropping innovation. Click here to see the BBCON 2015 recap video! 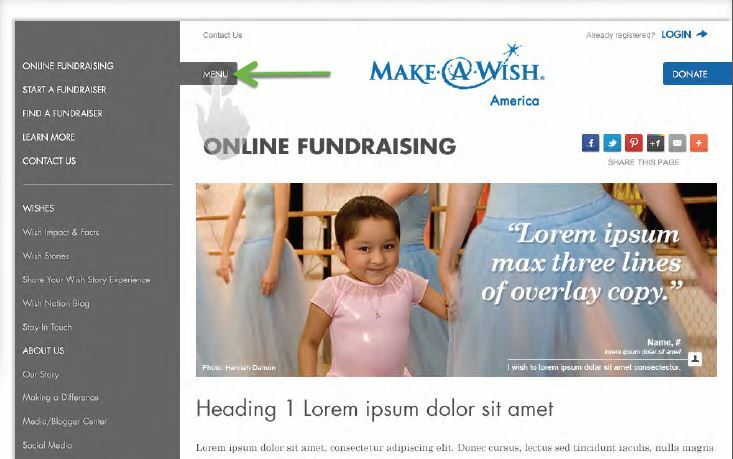 Sherpa is a digital marketing agency that has a strong non-profit portfolio. In an effort to uncover ways to drive better results for these clients, we were motivated to attend BBCON to learn strategies and tactics that were specific to the unique challenges that non-profit organizations face. The following are a few must read highlights, some of which may be applicable to your own organization! By 2050, Blackbaud believes that for-profit and non-profit organizational models will be completely blended. In the future, we will witness an exponential growth of hybrid models and B-Corporations (Benefit Corporations). From a non-profit standpoint, this is important as organizations need to find a way to tap into the 99% of consumer spending that is spent on consumer goods and services as opposed to focusing on the 1% spent on philanthropy. We will continue to see more non-profit organizations adopting organizational structures similar to that of for-profit models. Café Ubuntu and Save the Wino are two great examples of hybrid models. Under Armour’s mission statement is to “make all athletes better through passion, design, and the pursuit of innovation”. In the future, their corporate social responsibility initiative will be intertwined with the innovation pillar of their business and its target audience will expand beyond just athletes. They will adapt their wearable and quantified self technology (which is originally designed for athletes) to fit the needs of the general public. Under Armour is hoping this adapted technology will improve the health of the general public as a whole. Click here to read more about how Under Armour is disrupting the wearable tech industry! Fun Fact: There will be 35% increase in wearable technology from 2015-2018.? If your website and other digital communication tools are not responsively designed, you’re already missing out! 9.5% of donations this past year were done through mobile devices. 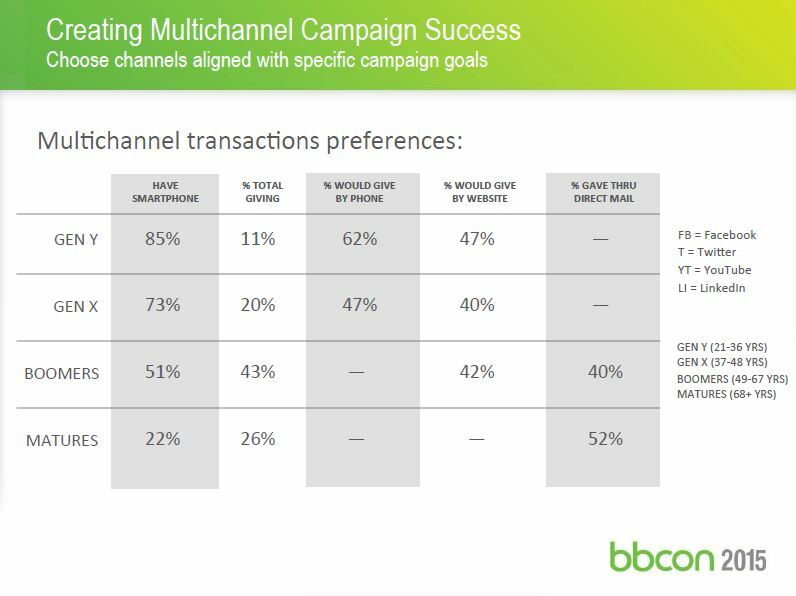 Additionally, you’re 34% more likely to achieve an online donation if your email, website and forms (which should be working together in tandem) are all responsively designed. Smart agents (ex. Apple’s Siri (I hate her too!)) are going to be integrated with digital non-profit campaigns. For example, you will be able to verbally ask a smart agent how many donations you received on a specific day or how many canvass-emails were sent out that day and to whom. There will be significant growth of wearable technology which will be adapted to non-profit campaigns. You will see non-profit organizations interacting with stakeholders through their wearable device. Increased growth of “Giving Days”. More popular in the United States, giving days are special times of the year on which non-profits canvass over the web and social media. Increased use of sustained (weekly, monthly, yearly) giving programs. Since 2011, sustained giving programs have grown by 18% and donations by way of sustained giving programs have grown by 21%. The Art of Story Telling?????? Non-profits need to understand the value of storytelling as story is the purest form of influence. 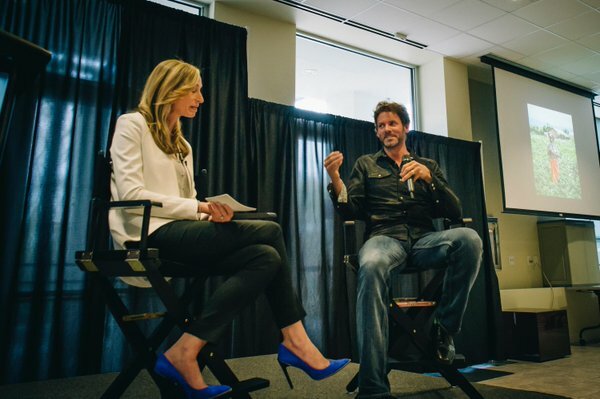 Non-profits need to showcase their story and purpose as authentically as possible. A few tips to help you do this:? Tell the ENTIRE story. Your marketing effort should not simply showcase the “hard stuff” (crying children, beat up dogs etc. )” or the “good stuff” (hugs and rainbows). Show what the problem is and how your organization is addressing it successfully. The entire story needs to be communicated to your audience. Embrace emotion. Build emotion into your communication materials and pull at the heart-strings of your audience. Emotion is the number one driver of action. Images and video are a better driver of action than words. Invest in great creative and let it drive action. Tell the truth! Even if the reality of your organization is harsh, communicate it authentically! Just like how you gravitate to truthful people; people gravitate to honest organizations. TIP – people gravitate more to personal stories than that of groups! What personal stories can your organization share? Side Note – The top 20% of North Americans don’t donate as much as the bottom 20% of the population as a percentage of income. This is due an “empathy gap”. The top 20% are more sheltered from reality and it’s up to marketers to build the communication necessary to create and sustain empathy to keep this group engaged with important causes.? The fold is fake! 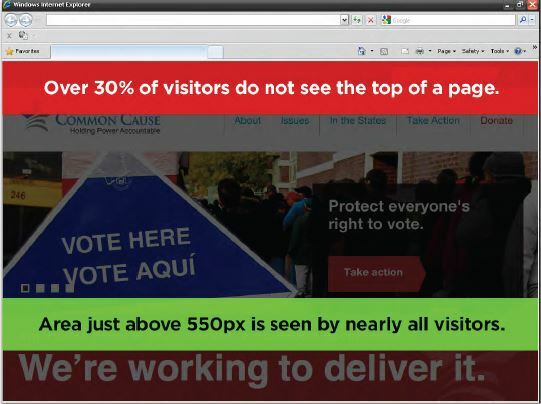 Well kind of… Over 30% of website visitors do not see the top of the webpage, they scroll before the website loads! Engagement will actually increase as a user browses down. You can’t have a webpage that is too long – only one that is too boring. Ditch the carousel/rotator. In my opinion, rotators are not a bad thing but rather a web design method that is overdone. Check out these alternative methods by Acuman and One! Use the space you can’t see. Use interactive buttons that pop out organized content. Keep improving. You should never fully “complete” a website development project. You should continue to test and monitor user behaviour and analytics. Simple donation forms. Make it as easy as possible for a user to convert. Check out this great example by Feeding America. These are five specific topics I selected of many that I was exposed to. Special thanks to all the speakers and attendees at Blackbaud. Lastly, if you ever end up in Austin, Texas you MUST eat at Casino el Camino! ?